William Beatty was a naval surgeon aboard the HMS Victory at the Battle of Trafalgar. This amputation knife is part of his surgical kit that is held within the College's museum collection. Note the slight curve of the blade of this amputation knife, a popular style during the late 1700s and early 1800s. Curved blades would be replaced by straighter blades in the mid-1800s to ensure more accurate incisions. 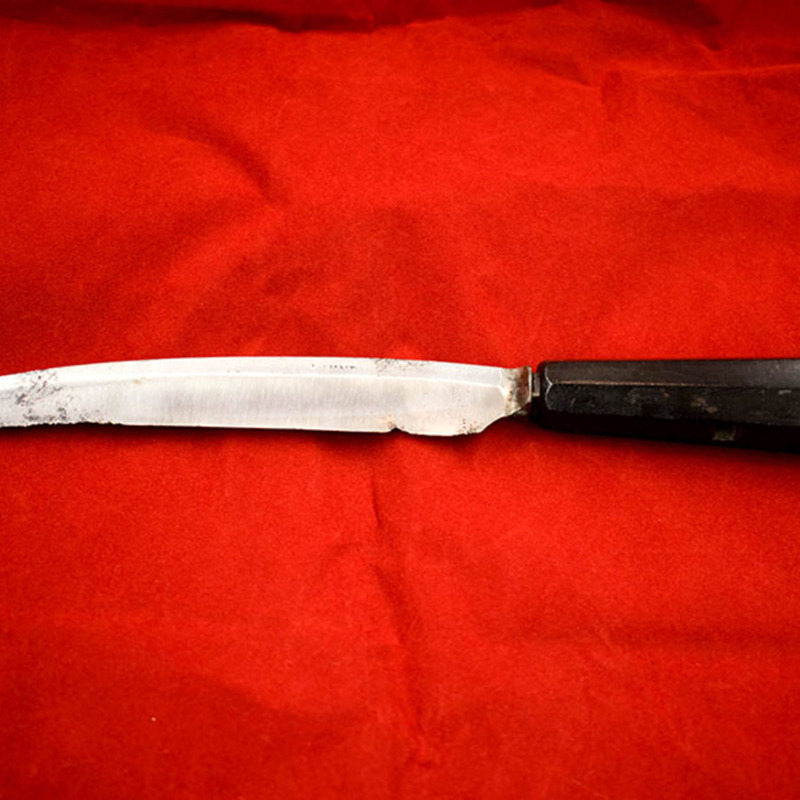 Laundy; 1783-1843; surgical instrument makers, “William Beatty's Amputation Knife,” Heritage, accessed April 25, 2019, https://heritage.rcpsg.ac.uk/items/show/136. Description: William Beatty was a naval surgeon aboard the HMS Victory at the Battle of Trafalgar. This amputation knife is part of his <a href="https://heritage.rcpsg.ac.uk/items/show/id/54">surgical kit</a> that is held within the College's museum collection. 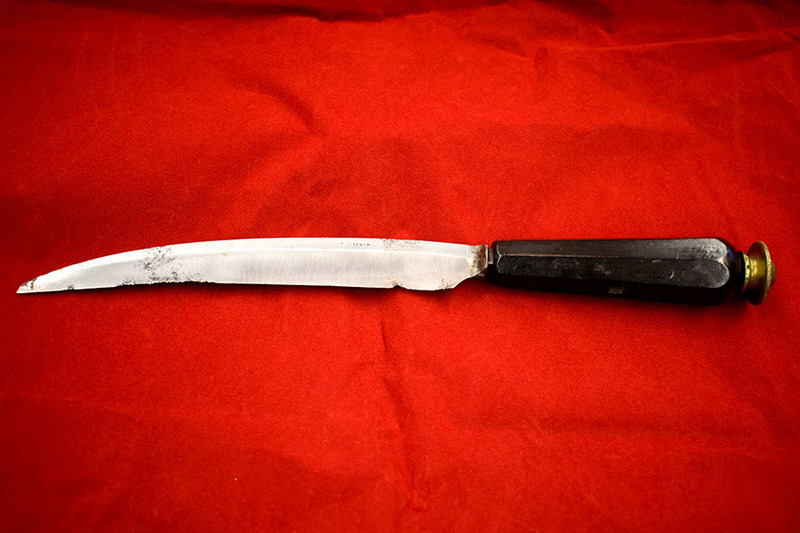 Note the slight curve of the blade of this amputation knife, a popular style during the late 1700s and early 1800s. Curved blades would be replaced by straighter blades in the mid-1800s to ensure more accurate incisions.